Translations of stories also available in English, Croatian, Serbian and French. Bužarovska belongs to the highest ranks of contemporary women writers – here I think it’s completely justified to appraise her in the global context and to place her side by side with the most renowned, say, English-speaking authors like Alice Munro, although this young Macedonian author, of course, has a lot of writing to do before being compared to a body of work of this extent, but the thing is you can clearly see how she could do it, that type of material is here – brought to light by the dark, carefully shaded places of foremostly human, not exclusively female existence, in such a way that the reader is at the same time necessarily frightened and thrilled by what’s in front of them: first because of what they recognize in themselves and those close to them, and secondly because… let’s say because it has never been brought to light in that way. If we would, say, look for an analogy for Rumena Bužarovska’s prose in popular music classifications, what she shows in My Husband could also be described as quiet storm. 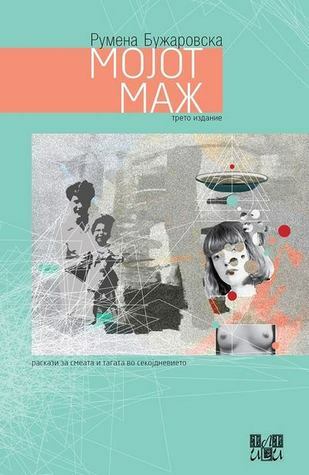 It has been some time since a collection such as My Husband has appeared in Macedonian literature – compact, complex, coherent, and with brilliantly resolved narrative complications. It follows clearly defined footprints through the sand dunes of pain, through the hills of silence of what remains unsaid, through the dark everyday features of contemporary real and fictional life. The book’s complete immersion in socially determined identity positions, intoxication with power strategies that tend to control and overpower the subject, and Bužarovska’s positioning as a highly conscious manipulator of social patterns and master of impressive character profiling, all have a strong potential to bring the readers to painfully recognize the helplessness and hopelessness of the confined worlds of her female characters, but also to sense an eruptive ‘female’ strength. Although she covers, and this is an understatement, disturbing themes and easily pulls the reader into her protagonists’ drama, she is miles away from any pathetic shortcut and cheap sentimental effect. […] Her stories of marriage are not poster stories, black-and-white tales where one side – the male one – is guaranteed the role of the bad guy, and the other one – of course, the female – is given the designated divine aura of the victim and the reader’s compassion. Both her male and female heroes are far more complex. Each story in fact tries to disentangle the thick thread of contradictions characters are built around to reveal the complex mechanisms before or behind our every decision. […] As much as it deals with the ‘rational’ institution of marriage, this book is also dedicated to the ‘irrational’ subject of love. Moreover, although every story is an intimate kammerspiel, it is also an isolated piece of the social puzzle. All the stories in this collection are told by married women, but their self-awareness doesn’t manage to exceed patriarchal frames, although these are often women from higher social classes. From one story to another, we follow the perversion of the protagonists’ attempts at emancipation, ranging from finding different pretence tactics, hiding their intimate needs, to violent and ultimately self-destructive acts. Bužarovska doesn’t write feminist pamphlets, but is neither a cynical satirist of her protagonists’ ‘low’ desires: her ‘short-story economy’ indirectly, but therefore more strongly, brings the reader to the open questions about the truth of manifold humiliation of women in marriage and family in today’s neoconservative transitional contexts such as the Macedonian and Croatian society. Bold and gutsy, the 11 first-person narratives relate tales of self-deception, vanity and hypocrisy, set in Macedonia with its own idiosyncratic problems and the post-communist, transitional reality of the patriarchal tradition of the Balkans. 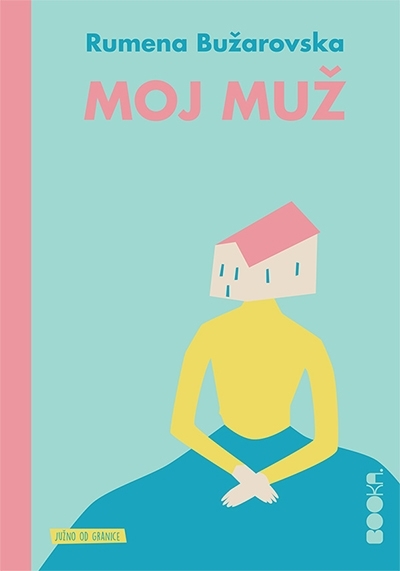 Rumena Bužarovska’s short story collection bears the deceptive title: My Husband. Although husbands feature in every story, in fact it is the lives of the women who narrate them – wives, mistresses, mothers, widows – about which the collection is chiefly concerned. Reminiscent of the stylistic straightforwardness of Raymond Carver, the playfulness of Lorrie Moore, the ambiguities and subtleties characteristic of Alice Munro, and of the grotesque characters and violent epiphanies of Flannery O’Connor, these stories move the reader to both tears of compassion and hilarity. Although the subtly presented political and cultural contexts affect the characters’ personal choices and actions, the dilemmas and frustrations they face are universal. The uncompromising first-person narratives in My Husband focus on women who appear to be telling stories about their husbands: a bad poet; a doting father; a husband who blames his son’s ignoble behavior on his wife’s genes; a deceitful spouse; an impotent partner who procures lovers for the fulfillment of his wife’s needs; a deceased husband… Yet through the storytelling these women reveal more about themselves, the environment they live in, as well as the specific social norms that determine their oppressed – and frequently limited – frame of mind. Due to the highly subjective narration of the unreliable storytellers, readers play an active role in evaluating ‘the truth’ behind the characters’ actions and thoughts. What propels further interest in the reader is actively witnessing the painful process throughout which the characters put themselves in absurd, humiliating or disturbing situations.